Palin comes out swinging and starts telling the folks what's at stake here. Why McCain is so damn polite when the very country is at stake confounds me. These are dangerous people and we need a leader, unafraid of the media, unafraid of the leftwing bullies -- we are counting on you McCain and you are failing us. ENGLEWOOD, Colo. -Republican vice presidential candidate on Saturday accused Democrat Barack Obama of "palling around with terrorists" because of an association with a former '60s radical, stepping up an effort to portray Obama as unacceptable to American voters. Palin's reference was to Bill Ayers, one of the founders of the group the Weather Underground. Its members took credit for bombings, including nonfatal explosions at the Pentagon and U.S. Capitol, during the Vietnam War era. Obama, who was a child when the group was active, has denounced Ayers' radical views and activities. While it is known that Obama and Ayers live in the same Chicago neighborhood, served on a charity board together and had a fleeting political connection, it's a stretch of any reading of the public record to say the pair ever palled around. And it's simply wrong to suggest that they were associated while Ayers was committing terrorist acts. This is mainsteam media injecting its narrative into a news story. Falling behind Obama in polls, the Republican campaign plans to make attacks on Obama's character a centerpiece of candidate John McCain's message in the final weeks of the presidential race. Coming late in the campaign, Palin's remark could be particularly incendiary, however, and could knock Obama off his focus on the troubled economy. Palin told a group of donors at a private airport, "Our opponent ... is someone who sees America, it seems, as being so imperfect, imperfect enough, that he's palling around with terrorists who would target their own country." She also said, "This is not a man who sees America as you see America and as I see America." She is probably doing the softening up. If it has effects on the polls, then McCain will hit even harder. Remember this: During Vietnam, as much suppression as possible of AAA/SAM and associated radar sites was done by other aircraft before our fighter/bombers came in. It became incredibly more successful during Desert Storm and when we overthrew Saddam this time. Get the preciseTicker Compact News Video widget and many other great free widgets at Widgetbox! shakopee mn real estate on WE LOVE SARAH PALIN. Custom Logo Design on WE LOVE SARAH PALIN. rc helicopter reviews on HILLARY CLINTON TO REPLACE JOE BIDEN? Logo Design on WE LOVE SARAH PALIN. Paper Shredder on WE LOVE SARAH PALIN. 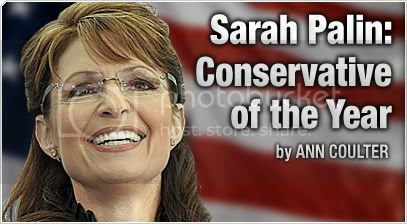 debt relief programs on WE LOVE SARAH PALIN.